• priming skin to better absorb topical treatments. 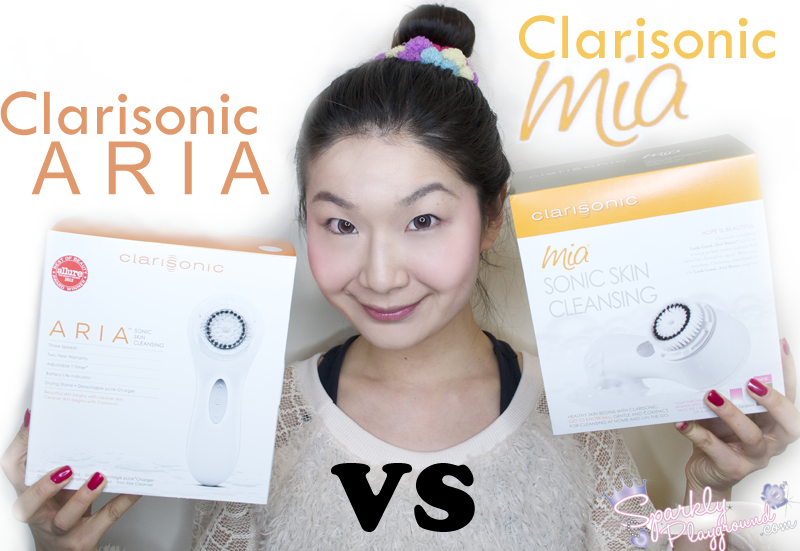 On the Clarisonic Website, there are many useful videos to teach you how to use your Aria (or other Clarisonic Products) to the maximum efficiency! I learned about things I didn't know before! Using the comparison chart, I decided to give it a personal rating as to what I liked about both of the models! It's the easiest way to compare if you don't want to read everything in the blog post! hahah! With varying levels of sonic speed, you can customize your Clarisonic Aria® cleansing experience to address your specific skin concerns. Speed 1 - DELICATE - is for very sensitive skin conditions. Speed 2 - UNIVERSAL - is for all skin types and cleanses six times better than hands alone. Developed for normal daily use and enhances cleansing by 26% compared to Speed 1. Speed 3 - POWERFUL - is used to loosen and remove set-in debris, it provides the power to enhance cleansing by 56% compared to Speed 1. I like to switch up my routine depending on needs. I usually find myself using Delicate for my cheeks and neck, Powerful for my mouth and chin area. 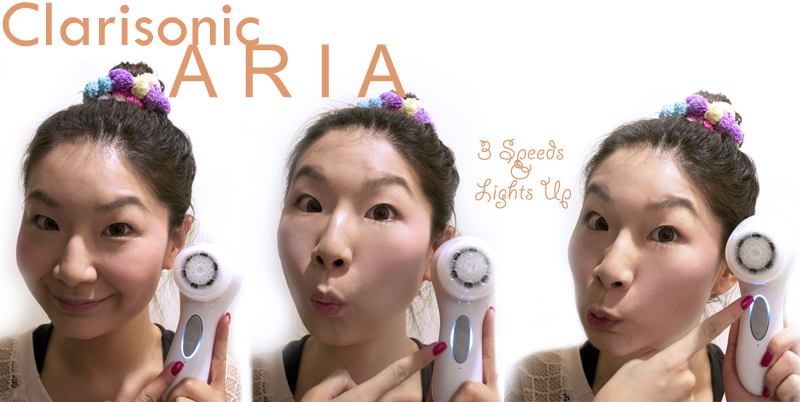 ADJUSTABLE T-TIMER For even and thorough cleansing of your face and body, Clarisonic ARIA features a T-Timer that beeps and pulses momentarily to indicate it is time to move to another part of your face or body. This is really great so I don't over do it! Perfect for the traveler (aka me! 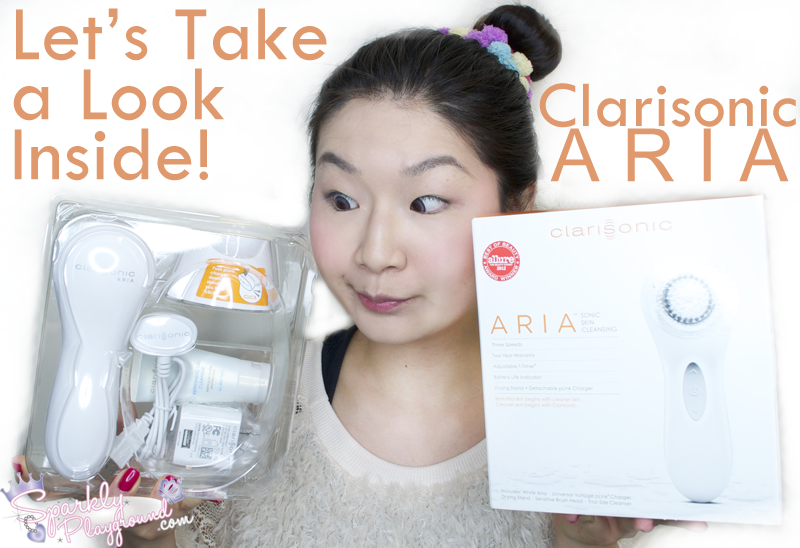 ), the tech-savvy Clarisonic Aria has a USB-enabled p-Link® charger that makes it super easy for me to charge up! I can charge up at home, on the plane, in the hotel, on my computer, everywhere! Clarisonic Aria comes with a warranty covering any manufacturer defect-related problems resulting from everyday use of the product. I absolutely love this beauty gadget. The number beauty trick to me is cleanliness. It's the very first step to any skin care regimen - Absolute key!! The next is to moisturize which is my general huge concern, wrinkles, dark pigments etc etc are all secondary compared to water supplement in my skin. For your skin to absorb everything, I make sure there's no dead skin cells that's obstructing therefore, again the majestic ARIA still come into play. I love this gadget! Side Edit: I took these pictures like 2 years ago.. hence this is actually before my cosmetic enhancement haha! I was going through my draft posts and I thought, "Wow, how did I not share this review already!" So I finally finished writing it now, without photographing the pictures again, my feelings are still the same! Enjoy!